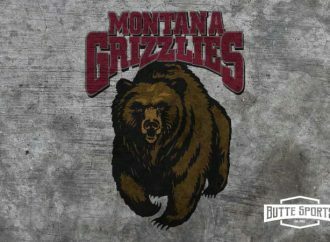 Ten or 11 years ago, I sat in the only open seat at the scorer’s table as I prepared to cover a Butte Central basketball game at the Maroon Activities Center. The seat was next to fill-in public address announcer C.D. Holter, who is now the heartthrob lead singer for the middle-aged rock band sensation High Ore Road. A kid’s coat hung on the back of the chair, but I sat there anyway. I needed a spot at the table to keep stats and notes for my story in the newspaper. I pulled out a couple of quarters from my pocket and said, “I’ll give you 50 cents for it.” I figured he would jump at that offer because he could get a couple of suckers for that. Plus, I knew the boy did not plan on sitting there for long. He was busy running around and playing with the rest of the young kids at the game. That was one of the first signs that Cade Holter was always going to get his money’s worth when it came to Butte Central basketball. All these years later, Holter is nearing the end of a remarkable career on the Butte Central boys’ basketball team. At the Southwestern A District tournament this week at the MAC, Holter will play his 99th and 100th varsity games for the Maroons. That is the second most varsity games played by a high school boy in Mining City history, trailing only the 111 games played by Butte Central’s Joe Devich from 1947 through 1950. Holter passed legendary Maroon “Jumpin’” Joe Kelly for second place in Saturday’s win over Corvallis. 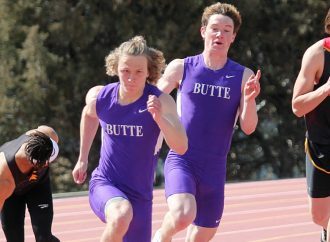 For the record, Jeff Edwards’ 82 games is the most by a Butte High boy. That is two more than Cody Carriger. Bulldog great Lexie Nelson’s 91 games is the most in Butte High history. Unfortunately, I don’t know the record for BC girls. Butte Central coach Brodie Kelly says Holter is the epitome of what being a Maroon is all about. He is a tough, unselfish player who helped lead the Maroons to the state tournament in each of his first three seasons on the team. When Holter was a freshman, he played with the confidence of an upper classman. At the time, Kelly said that if he could pick one person in the world to be by his side in an alley fight, it would be Holter. When he was 15. That is probably why Kelly did not hesitate to give the ball to Holter when the Maroons needed a miracle last Thursday night against Butte High. With 14 seconds left in a Butte High – Butte Central battle at the Civic Center, the Maroons tied the game at 48 on an NBA-range 3-pointer by Luke Heaphy. Butte High drove the length of the court. Kash Kelly threw to Tommy Mellott, who threw to Clay Ferguson. Ferguson laid in a bucket and drew a foul with 2.8 seconds left. Butte High called timeout before Ferguson shot the free throw, and Holter assured the coach that everything was under control. Ferguson sank the free toss, Dylan Sestrich inbounded the ball to Holter, who took two dribbles as he ran down the right sideline. He heaved a shot from about 10 feet behind the half-court line. You have probably seen the video by now. The ball hit nothing but net. The Bulldogs and Maroons have met on the hardwood 177 times, and there is no way there has ever been a better shot than that one. The Maroons went crazy. Even though the game was tied, fans ran onto the court, and Holter ran down to shoosh the Butte High student section, holding his right index finger up to his lips. This came as the Butte High and Butte Central student sections spent the night razzing each other and the opposing players. They were exactly what student sections are supposed to be. If you think those Bulldog students or players were offended by the gesture, think again. The shot was the fourth that Holter made behind the half-court line in a game in his high school career. Ferguson is right. That is insane. 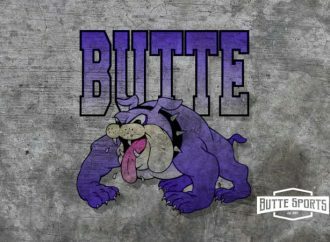 Butte High won the game in overtime, and Holter called the shot “meaningless” because the Maroons lost. He would, without question, trade that shot for a team victory any day. That shot, however, is far from meaningless. Carlton Fisk’s walk-off home run in the 12th inning of Game 6 of the 1975 World Series is not meaningless because the Reds beat the Red Sox in Game 7. Boston still named the foul pole the ball bounced off after Fisk. Franco Harris’ “Immaculate Reception” in the 1972 playoff win over the Raiders is not meaningless because the Steelers lost the Dolphins the next week. That play was just part of a Super Bowl commercial, nearly a half century later. Some plays are so legendary that they transcend the score of the game. Holter’s shot is, without question, one of those plays. In 50 years, we will still be talking about that game. While we might not remember who won or lost, we will remember Holter’s Hail Mary. For me, it will be the second thing that I remember, however. After every close Butte-Central game, I encounter some bitter fans on each side. This time I had fans tell me the Maroons were ripped off by the refs. Some yelled about Butte High coach Luke Powers “running onto the court” to argue with the officials. I had Butte High fans yell about Central assistant coach Renzy Kelly running onto the floor and celebrating Holter’s shot like BC had won. That is because he thought they did. The shot was so crazy, that it temporarily froze Renzy’s math skills. The Butte-Central game can and usually does bring out the worst in all of us, at least for a little bit. We get caught up in the moment and say things we regret. But, as the president might say, there are good people on both sides. As the Maroons trickled out of the locker room following a post-game talk with coaches, I grabbed Holter. He was sad that his Maroons fell short in the classic game, but he scoffed at the notion that the loss would be one that would haunt him and his teammates. You see, while many old fans are still bitter about the Bulldog-Maroon rivalry, the players of today actually like each other. As some adults were losing their minds or heading to Facebook to argue Thursday night, a heartbroken high school senior was offering words of wisdom that should help us all keep this kids game in perspective. Those priceless words are what I will always remember about that great night. In hindsight, I probably should have given Cade that dollar. 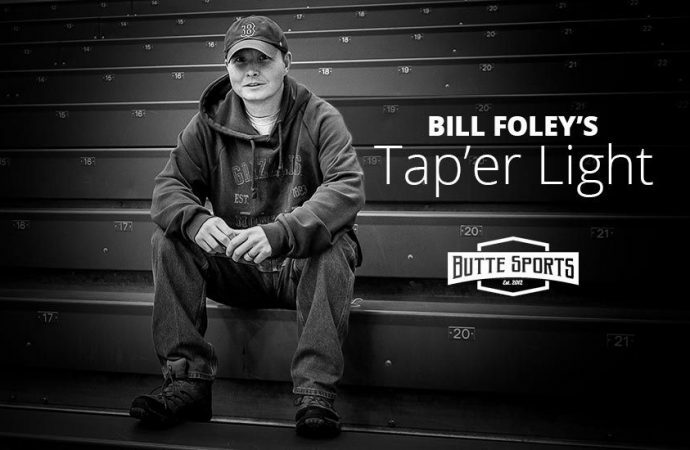 — Bill Foley, who isn’t giving him a dollar now, writes a column that appears Tuesdays on ButteSports.com. 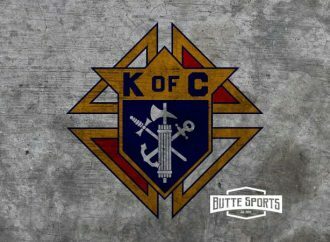 Email him at foley@buttesports.com. Follow him at twitter.com/Foles74. Amazing!!! What a great story!